Good day all! I hope you enjoyed some amazing Pokémon action last weekend. I certainly did, well, until life pulled me out of the action. You all should go check out YetiGaming.com. Yeti is working towards a live stream of various card games throughout the week. Wednesday and Sunday will likely be Pokémon. Saturday, until I had to leave, I got to commentate on some games and run some interviews. We are completely new to this endeavor, but I enjoyed it. Today’s article will go through a variety of topics, so follow the links to the subjects that interest you most. Round 1 vs. Beartic, Black Kyurem EX, etc. As I could not attend the first weekend, my deck decision for week two hinged upon what happened week one of States. These numbers might be a bit different from the What Won thread because I have tried to compile several results, and I have condensed the results to overarching deck types. The table is arranged according to 1st place results, and includes the percentage each deck comprised of all decks that made top cut. That metric (% of Cut) takes the individual deck total divided by the sum of the total column. It is a stat that allows you to know how successful or popular each deck was each week. Sitting at home and analyzing the results, I expected to see Garbodor at the top of the list. In reality it was tied in wins, but was only fourth in top cut positions. 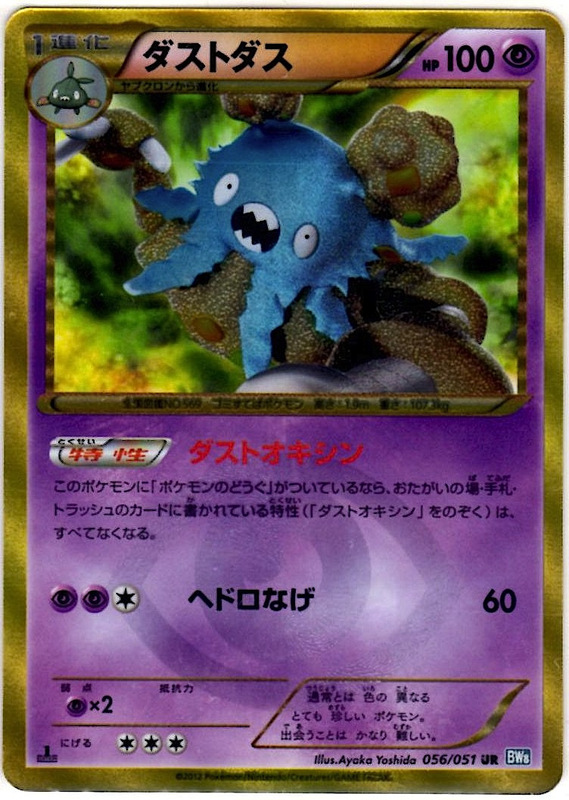 That means that Garbodor was extremely strong once it reached the top cut. The result I was most surprised to see was Darkrai. Now admittedly, this Darkrai number is a compilation of several Darkrai decks: Darkrai/Lasers, Darkrai/Ninetales, Darkrai/DCE Attackers, etc. However, Darkrai turned in a really strong performance week one. It is also worthy to note that Eeletkrik decks performed much better than I thought they would in the first week. After looking over the results from week one, I came to a few conclusions. 1. To be successful in week two, I absolutely needed answers to Garbodor. This really meant one of two things. Either I had to play at least two Tool Scrapers in every deck that relies on Abilities, or I had to play Big Basics and avoid using Abilities altogether. 2. By extension, I was very wary of playing Eviolites in my deck. I expected Tool Scrapper to abound at the event. Therefore, I viewed Eviolite as a relatively dead card for the weekend. I actually love Eviolite as a card – I was just worried about playing it at Missouri States. 3. I would not be comfortable playing my favorite deck, RayEels. Ironically, an Eels deck ended up winning our State Championship. However, Landorus EX and Darkrai EX can be very strong against Garbodor decks and both are very solid against Eel decks. I was simply getting sick of fretting about being donked or losing early. So, I knew I wanted to move away from RayEels. 4. I wanted to test a few rogue decks before making my decision. Empoleon DEX/Dusknoir BCR/Landorus EX had seen success in the first week with a Top 4 placement and two more Top 16 finishes. Darkrai EX/Ninetales X-0’d a the Swiss portion of an event. Lugia EX had been almost non-existence week one and perhaps could surprise the field week two. These three conclusions left me with the following decks as options for the weekend: Big Basics, Klinklang, Darkrai & Friends, Darkrai/Ninetales, Empoleon/Dusknoir/Landorus EX, Garbodor, DCE-Eels, and Plasma Rush. With a lovely set of decks to work through, I dove headlong into a lot of testing. Him: Why would you play that? It doesn’t seem very good. Me: I think it is good, but I’m not sure it’s good enough. Him: Why do you think it’s good/why would you play it over RayEels? Me: Well, it does not rely on Dynamotor nearly as much. It has great non-EX attackers to deal with Klinklang. It forces your opponent into taking six knockouts to get to six prizes. I absolutely love talking over decks with Colin because he routinely asks very open-ended questions. I know he is doing two things: looking for information for his own decisions and helping others figure stuff out. He makes you think and come to logical conclusions to defend your decisions. I highly recommend you find someone that you can have these conversations with. Anyway, I knew the deck was solid and here was my testing list. I very much enjoyed this list and deck, however that list is clearly sub optimal. After more testing , I have made several changes to this deck since I tested the deck early last week. – I have flipped the Bouffalant and Mewtwo EX counts. Jando told us that he played three Bouffalant, and Bouffalant is extremely strong in the current format. I seriously doubt you get a turn one Gold Breaker off very often, but turn two Gold Breaker is also extremely powerful. With Bouffer and possibly Eviolite, very few attackers are going to be able to land the OHKO on Bouffalant before your third turn rolls around. That normally means that you can take one or two Prizes with your opening Bouffalant. – I took out the Tool Scrapper and added another Eviolite. I have accepted that Garbodor is a very difficult matchup and that the best bet is to simply utilize Mewtwo EX and Bouffalant wisely in that game. – I am considering going down to three Tynamo in favor of another Level Ball. I am not sure I will like this decision in the next few weeks, but the fewer Tynamos in the deck, the lower the probability of opening with a lone Tynamo. Additionally, DCE-Eels does not overly rely on Eelektrik in the same manner that RayEels does, and the deck uses Dynamotor as a way to simply skip ahead a couple attachments. Therefore, the thinner Eelektrik line might be sufficient. Ultimately, I was not persuaded to play this deck because I was having a difficult time dealing with Blastoise and RayEels. I was constantly losing the RayEels game because Little Rayquaza (Rayquaza DRV) is very good against both Zekrom and Bouffalant. After a Bolt Strike, Little Ray can come in and Shred for the KO. Also, BenchTini (Victini NVI 15) is also very good against other Eel decks. It deals a straight 100 which can take out Eelektrik or a Zekrom that used Bolt Strike without an Eviolite. After abandoning DCE-Eels, I moved onto Plasmklang. I honestly believe that Klinklang is an average deck that needs the correct meta to thrive. However, I thought the meta at Missouri States would be favorable to Klinklang. I firmly expected quite a few Darkrai decks (I was wrong here) and a lot of Big Basic decks (I was correct here). Colin played KK and finished second, losing to a RayEels deck. Unfortunately, I do not own nor could I find any Tropical Beaches to borrow and knew I would be at a disadvantage if I played the deck. I did work on a list that ran decently well without the Beaches, but I was not comfortable taking my Beach-less deck to the event. That forced me to abandon the deck in relative short order. A key lesson: Do not play decks that you do not have the optimal cards for. The current format has many decks that can win any given event, and many of those decks are relatively cheap. Darkrai/Lasers and RayEels are very cheap decks that are easy to assemble. I would strongly recommend playing one of these decks over a crippled version of some other deck. Let me start by stating that this deck concept is still one set away from reaching its full potential. However, the deck is semi-competitive right now and I was looking for a deck that could give me an advantage for the weekend. The advantage of this deck would be that not many people would see it coming. Pokemon ParadijsAs you can see, this deck is centered on the Bicycle and Ether engine. I have found a version of this Engine to actually be very strong in the normal Big Basic deck, but more on that later. 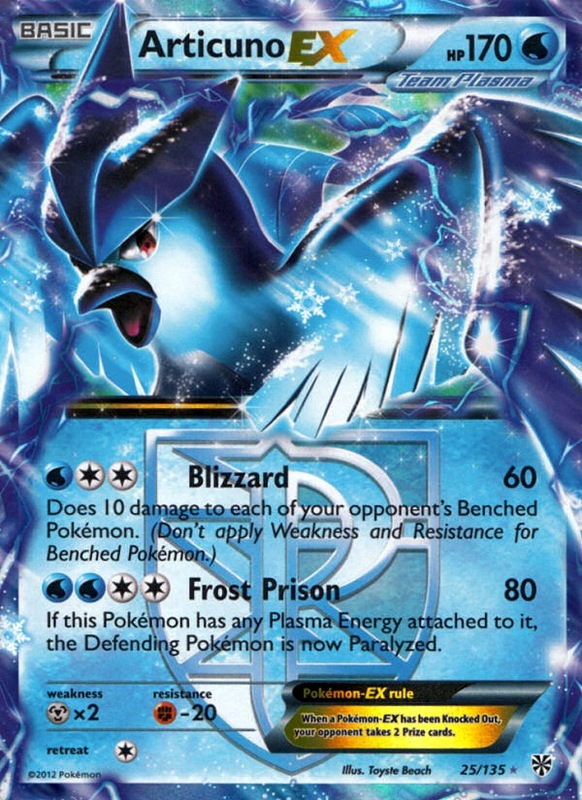 The simple idea is to use Articuno for either Blizzard’s spread damage or to use Frost Prison’s Paralyzing effect. It is vitally important to remember that Klinklang only prevents damage from Pokémon EX, and not effects. Therefore, you can still Para-lock Metal Pokémon into place. 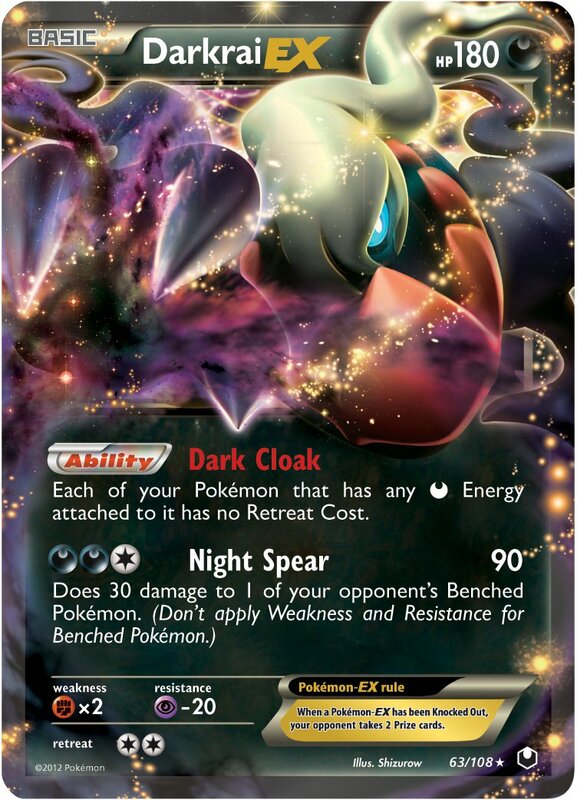 Against Darkrai EX decks, it is vitally important to remember that Snorlax can lock Pokémon into the Active slot because Dark Cloak doesn’t switch like Keldeo’s Rush In – it just grants a free Retreat Cost. Ultimately, the deck is a lot of fun to play and can shine when there are no Enhanced Hammers in the meta. 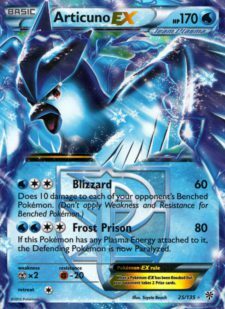 Unfortunately, I could not scrounge up enough Articuno EX to pursue the deck any further. You see, I start my testing with online games against people I know and then move to real cards. If I do not have or cannot find the needed cards, I simply drop the deck from my decision tree. I did not spend much time focusing on Garbodor for a couple reasons. First, I do not believe that Garbodor is an innately top tier deck. I believe it is a counter deck that requires the correct meta to thrive. Sure, the sheer power of Landorus and Mewtwo may carry you into the top cut, but to go deep you need a very strict set of circumstances to be present. Second, I knew that many players in Missouri would be prepared for Garbodor because Colin won with the deck the previous week. 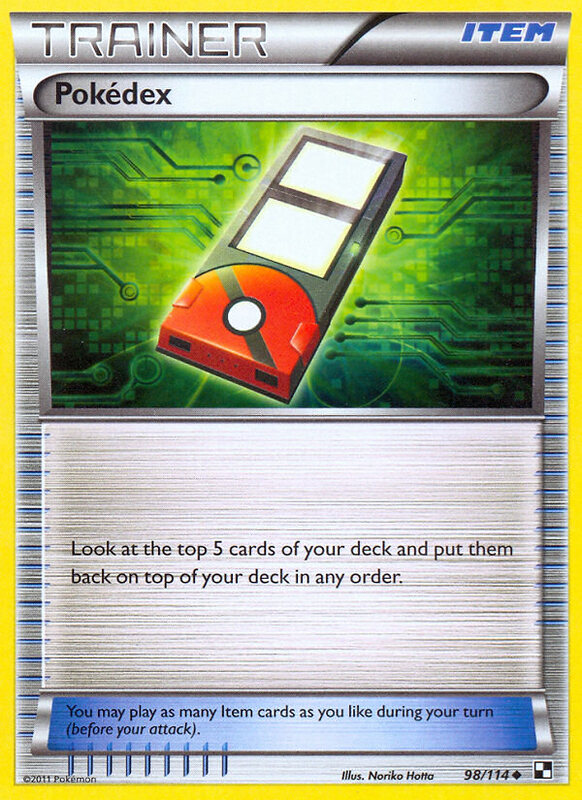 Now, I knew Colin had moved on from Garbodor for the second week, but I suspected many would not know that and would tech their decks for Garbodor. I have often spoken about my affinity for Empoleon/Dusknoir/Landorus EX (possibly with Ditto BCR, Mewtwo EX, and/or Roserade DRX 15). I love the deck and absolutely believe it is one of the more skill intensive decks of the format. It is obviously a competitive deck, evidenced by top cut positions in both week one and two, but it is likely not a Tier 1 deck. My issue is that I simply cannot find all the required space needed for the deck to operate correctly since Plasma Storm was released. I know this list is a mess, but it works if you can get it set up. The problem is that is can be a pain to get rolling. I am honestly at a loss on how to make this work better, but I might as well show you what I have. Perhaps we can collaborate in the forums on refining this list. In the past I have played Roserade in this deck and it was excellent, but I simply do not see where the room is for a 1-1 or 2-2 line of that card. If you want to cut a Landorus EX and a Mewtwo EX, you may find room for Roserade. 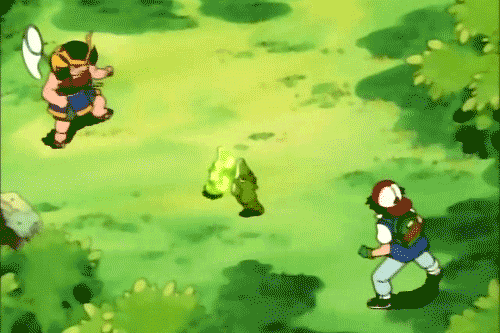 If you do decide to pursue Roserade you will certainly want to fit a Level Ball into the deck. 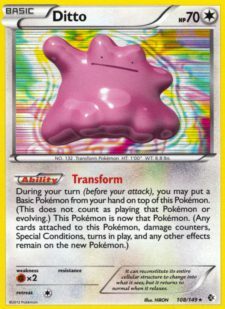 Pokemon ParadijsThe other Pokémon I would like in the deck is Ditto. This deck needs a very precise set of Pokémon on the field at any given point in time. 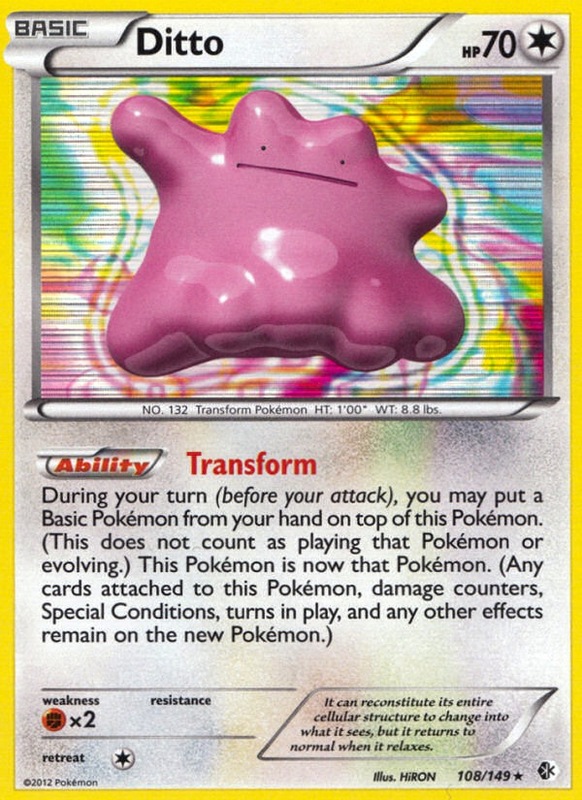 Ditto allows you to hit your Energy attachments every turn, and Ditto allows you to get an Energy down without needing to know whether Mewtwo EX or Landorus EX is needed. However, I am at a loss on what to cut for a Ditto. Double Super Rod really allows you to churn through your deck and not really worry about running out of resources. I was having issues against DCE-Eels with this deck because the opportunity to take EX Prizes is slim and DCE-Eels can use Zekrom and Mewtwo EX to counter two of your three attackers. Additionally, I was having a difficult time dealing with Garbodor effectively because Garbotoxin shut down Sinister Hand and Diving Draw. This deck intentionally skims by with a low Supporter count, and when you lose Diving Draw the deck can screech to a halt. Dowsing Machine vs. Computer Search vs. Gold Potion vs. Scramble Switch. This is a unique deck that can capitalize on any and all of these ACE SPEC cards. Dowsing Maching allows you to play thinner Trainer lines and be able to sleep at night. Computer Search is currently the only way to search for Double Colorless Energy (goodness would Energy Exchanger be nice). Gold Potion often saves you one turn from being KO’d. Scramble Switch is very nice with Max Potion and getting a fresh attacker going, because all of the attackers only use one Energy attachment. I have included Computer Search for set up consistency and the ability to search for DCE. However, all four have merits. I was mainly considering three distinct Darkrai variants: Darkrai/Lasers, Darkrai/DCE Attackers, and Darkrai/Ninetales. I will begin by stating that Darkrai/Ninetales is the least innately powerful deck here. However, in the proper meta, the deck becomes very strong. If you are worried about Klinklang, as I was because I knew some players would be playing it, the deck becomes very strong, and Ninetales is never completely dead. Bright Look is always powerful and Hex Flame can do serious damage if you hit heads with Hypnotoxic Laser. As you can see, this list has zero Tools in the deck. I personally find that fact very unsettling. I love both Dark Claw and Eviolite in my Darkrai decks. However, if you want Ninetales to beat Klinklang, the Tools have to be cut. 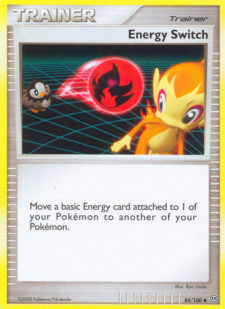 The other option is to cut a Supporter or Pokémon search cards. In the debate between consistency and techs, consistency will normally win. Note I am talking about getting to a minimally accepted level of consistency. When you already have 16 Supporters and need to fit a tech card or two into the deck, then of course you can cut a Supporter or two to fit your techs into the deck. 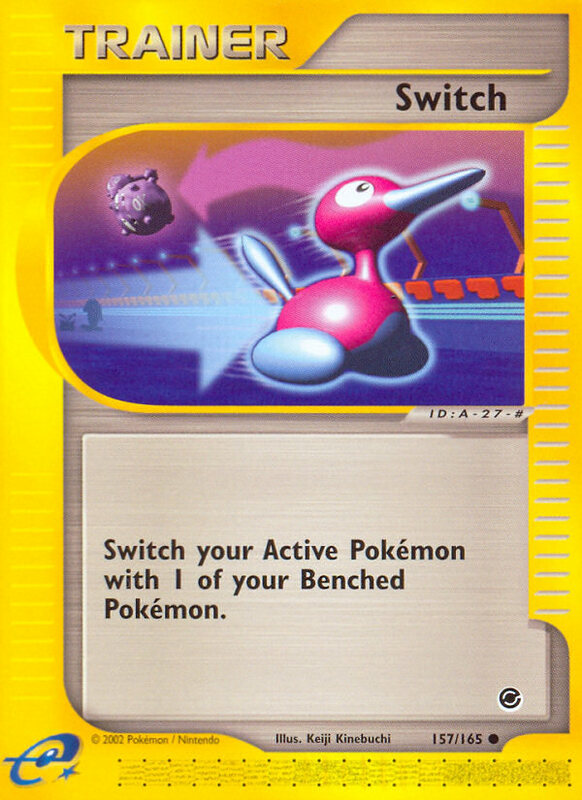 Pokemon ParadijsThe last curious aspect of the deck is the Switch count. Normally Darkrai decks forego Switch and instead use Keldeo EX. 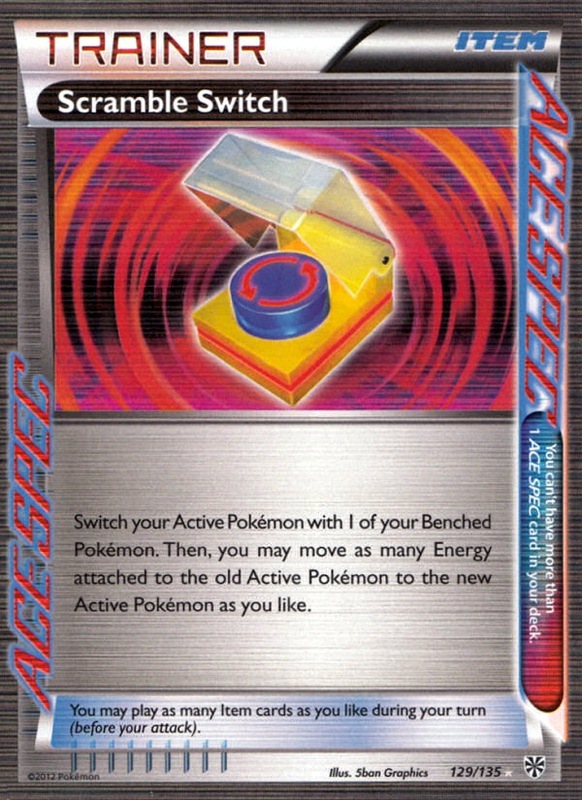 However, with Garbodor running wild in the first week I was more comfortable running Switch because Keldeo EX can get stuck Active while your opponent goes to town putting damage onto your board. The other two Darkrai decks simply struggled with Klinklang too much, and I knew that Klinklang would be played at Missouri States. Darkrai/DCE Attackers fares a little better against Klinklang, but Tornadus EPO and Bouffalant do not get it done in conjunction with Darkrai because they are played in small amounts. Working through all of the other decks left me with Big Basics as the last deck to test before the event. However, my Big Basic list started out and ended very differently from the one that Jay played last weekend. My friends Edan Lewis and Zach Zamora had been working with an Bicycle/EtherDex version of the Big Basic deck, and Edan took it to a Top 16 finish in week one. I hopped on PlayTCG.me with Edan, and after a few games, I was convinced his deck was more than just a fluky gimmick. I tweeked his list and came up with this. Before you knock the idea, I urge you to play about 10 games with it. It takes a while to get used to playing the deck and it can be very thought intensive. You must use Pokédex wisely and plan for the next three to five turns when you rearrange your cards. The other main concern is the low count of Pokémon Search cards, three. 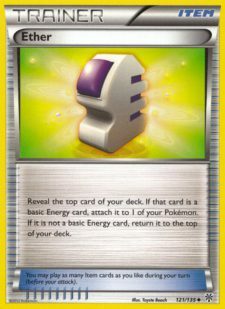 Many people freak out when looking at the list and noticing how the deck gets more Pokémon onto the field. Well, you draw into them. Additionally, every Pokémon, save Lunatone, is a great starter and is likely to live a couple turns. Nearly every Item in the deck is “burnable” and can be played right away. That allows the deck to thin out extremely quickly, and thinning facilitates Pokémon discovery. You play the Pokémon as you find them, for the most part. The other thing, as simple as it may seem, is to remember to use Premonition every turn it is available. It simply amazes me how many people forget to use Premonition when they are not using Ether that turn. It is never bad to look at and arrange the top two cards from your deck. I really enjoy this deck and am kicking myself for not playing it. I ended up playing a much more conservative Big Basic deck. As you can see, I basically removed the Bicycle engine for more Supporters. I felt this made the deck more conservative and plodding. I expected the deck to keep a steady flow of resources coming. Pokemon ParadijsI also removed the EtherDex engine for Energy Switch, another Max Potion, and another Switch. I felt this allowed for more Energy preservation, instead of Energy acceleration. I also went with three non-EX attackers to give me a chance against Klinklang. All three non-EX Pokémon – Tornadus, Bouffalant, and Terrakion – are actually very good against Klinklang. First, Klinklang hardly uses Poison from Hypnotoxic Laser to take KOs. That allows Terrakion to be very threatening with Retaliate. Second, Bouffalant deals significant damage to Cobalion EX and Registeel EX, even if Registeel utilizes Protect Charge. Third, Tornadus can deal a quick 80 damage while likely surviving for more than one turn. When it comes to the ACE SPEC in this deck, Scramble Switch and Dowsing Machine are, in my opinion, the optimal choices. Both cards help the deck get into the late game without faltering too much. Scramble Switch can pair nicely with the Max Potion. Dowsing Machines give the deck more reach by facilitating more Pokémon Catcher, Hypnotoxic Laser, and Max Potion plays. I believe neither choice is wrong. I went with Scramble Switch because it actually pairs very nicely with Tornadus EPO. You can Scramble Switch into Tornadus EPO, play a Max Potion to wipe the freshly recalled Pokémon, and then Hurricane an Energy back to that Pokémon. This works extremely well with Landorus EX because it only requires one Fighting Energy to attack. I sit down for round one and my opponent is extremely nice. He was also very excited to learn about SixPrizes. He had never heard of our website, as he only started playing at Winter Regionals. Basically, I open Tornadus EPO and he opens Black Kyurem EX. Tornadus takes 4 Prizes and Mewtwo EX takes the last two. I was extremely excited to see this gentleman because he was playing one of my favorite decks. I opened Tornadus EX and just put too much pressure onto his field and he could not find an EX to use as a shield and stabilize. He ended up starting out 4-1, only to fall to 4-3 and whiff on the cut. Pokemon ParadijsThis game was very thrilling, and he was very excited about getting a chance to win a die. Early in the game, I got a Mewtwo online and took out a Trubbish. Then he got Articuno EX going and made a great comeback. I ended up going down to one Prize because I never had the opportunity to take out another Trubbish. Then he N’d me to one card and I needed a way to get to Switch as he was using Articuno to Paralyze my Active. Luckily for me, I had been thinning my deck often throughout the game and had several Skyla, Switch, and my Scramble Switch in my deck. After the second or third time he N’d me to one, I hit a Skyla and grabbed a Switch to take out his damage Articuno for the last Prize. About everything that could go bad did go bad in this game. I opened with Terrakion Active and a Juniper and N in hand. I opt to play the N, assuming it would be the safer play because I also had several important Items in my hand. So I N to six, and I whiff a Supporter. I continue my newfound Supporter drought for about five turns and my opponent got too far ahead. The one thing I did note from this game is that Eviolite saved my opponent multiple times in the early game. Even with my Supporter drought, my Landorus EX and Tornadus EPO were doing great work. If not for my opponent’s Eviolites, I would have easily taken two or three Prizes in those dead draw turns. He effectively flipped the numbers in his favor by getting three Eviolite down. The lesson is that Eviolite – even if you expect Tool Scrapper – should be in a non-EtherDex Big Basic deck. I tried a late comeback by using N, but off my N to 3 and my N to 2, my opponent drew Supporters to get out of tight spots. This was largely because he played wisely and thinned his deck early while saving as many Supporters as possible. He played very, very well. For some reason, I cannot remember what deck my opponent was using. All I remember is that he took a three Prize lead and then I staged a comeback with timely N’s and a fun Max Potion, Energy Switch play. Pokemon ParadijsI know this opponent very well and knew most of his list. There were not going to be many surprises in this game. Also, after last round I realized that I would not be able to stay for the top cut because of family stuff. I was going to scoop to my friend here, but he insisted to play the game out and take the loss if it occurred. We both open the game very strongly, putting a lot of pressure onto each other’s field with Landorus EX and Tornadus EX. In the mid game we both also switch into our non-EX attackers. Fortunately for my opponent he was able to take out two non-EX Pokémon, while I was never able to hit the Catcher to take out my second non-EX. That meant that I, once again, was forced down to one Prize, and he N’d me to one a couple times. Still, I was one card away from winning the game three times. He had Lunatone on his bench, and I had Tornadus EPO with a DCE on the field. Multiple times, I hit either the Catcher and the Energy or the Energy and the Hypnotoxic Laser. Never could I hit all three. I feel this might have been a misplay. I probably should have used the Catcher when I first got it for two reasons. First, it might have been difficult for him to hit the Switch. Second, it would have thinned my deck for each successive N. I refrained from this play because that was my last Catcher and if he could retreat, I would have no way of taking the KO on that Lunatone. Ultimately, he won the game one turn before I would have won. On his turn he needed a double Energy attachment. He Computer Searched for a Super Rod. 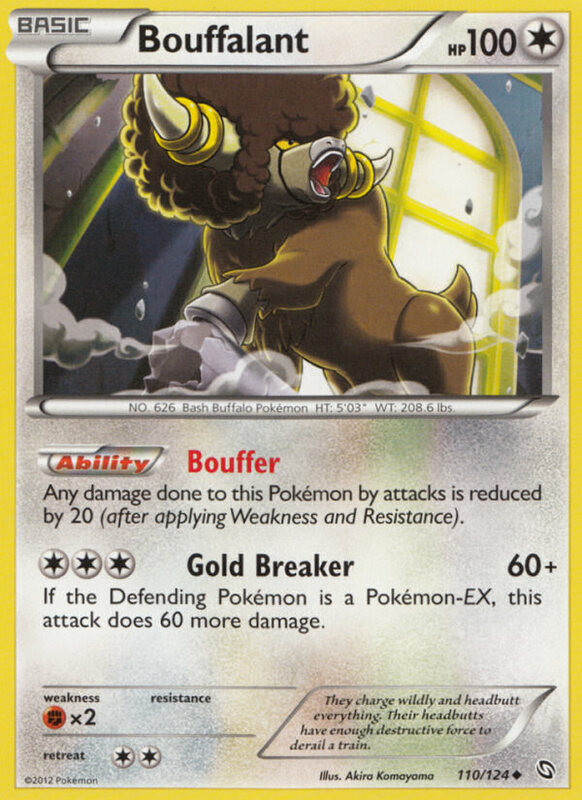 The put three Fighting Energy back into his deck, and then he used Ether to get a second Energy into play on his turn to take his last Prize. I was disappointed that family stuff came up and I had to leave. I was in great spot to hit snag a spot in the top cut. One 4-3 made the cut, and my resistance, at the time of my drop, was extremely good. That means the chances are if I had won round seven, I would have been in. Or, I might have snuck in at 4-3 with the best resistance. Oh well, I guess that is life. I was pleased in my deck choice and the deck performed well. I was a little disappointed in my five turn Supporter drought because I played 14 Supporter or Random Receiver cards exactly to avoid droughts. I certainly enjoyed the games and the people I played against. I also enjoyed not fretting about getting donked for once. Here are the results from week two. Understand that these are again compiled from the What Won thread, and the decks are condensed into the same categories as the first table. The first table is obviously arranged by 1st place finishes, and the second table is arranged by the change in % of Cut from week one to week two. This metric shows us how the metagame is developing from week to week. The obvious winner of week two was Blastoise. The deck rose up to take down three titles, tied for the most first place finishes, and the deck also took the most overall spots in the top 16. Additionally, the deck’s % of Cut rose by more than 10%. That is a huge meta shift. 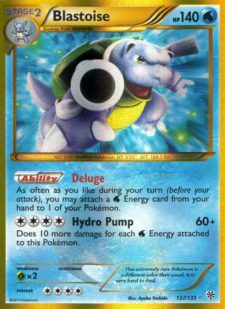 The rise of Blastoise may seem to be counter-intuitive, but in a couple paragraphs, I will go through the logic. The other most obvious winner were the Big Basic decks that rose up to also take down three titles, tied with Blastoise. The reason for the rise of Big Basics makes more sense than any other results from these tables. Garbodor completely shocked the community last week with an extremely impressive importance. 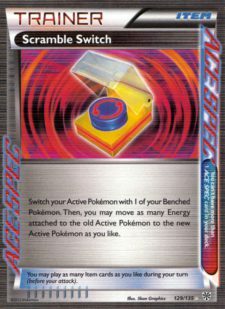 The deck that most easily “counters” Garbodor is the Big Basic deck. Players basically play games in levels. The more skill you possess, the high the level you are capable at playing at. This can include both in game skill and deck choice/ deck building skill. You want to play the game at one or two levels high than your opponent. When you get further away than one or two levels, your opponent may completely and unintentionally mess up your plans. 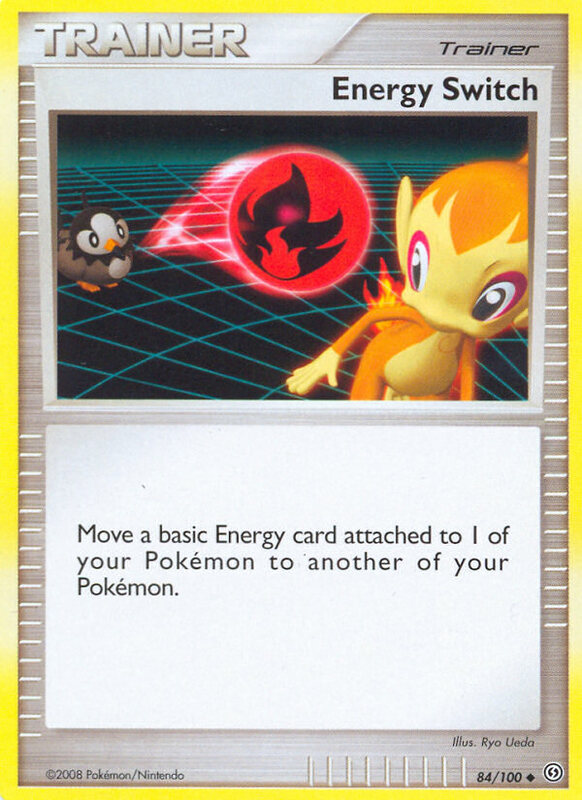 The concept applies strongly in Pokémon in the deck choice decision. Let say that Level 1 (L1) players were going to show up with what won in the first weekend. Well, L2 players were going to show up playing decks that beat the successful week one decks. L3 players will show up with decks that beat the L2 decks and still deal with the L1 decks. Blastoise might have been a L3 deck choice. People moved to Big Basics to counter the Garbodor love, and to a lessor extent the Darkrai love from week one. 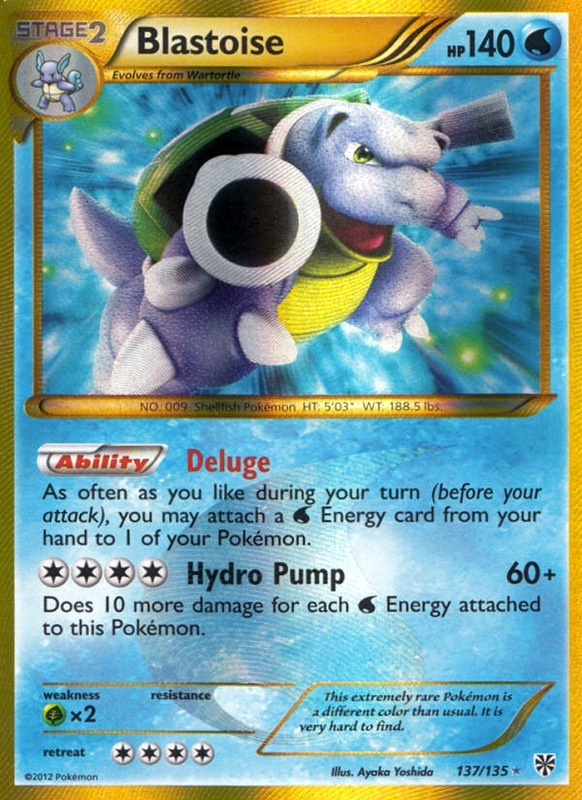 Then, Blastoise beats Big Basics quite well, and many players took advantage of all those decks floating around. The arguably less obvious winner from week two was Garbodor. Yes, the deck failed to win an event, but its percent of top cut actually rose slightly. That indicates the deck is semi-powerful on its own legs. I still contend it is not the best deck out there, but it seems to be OK even when the format is hostile to it. The obvious huge loser of week two was Darkrai. The archetype only won two events and saw its % of Cut fall by nearly 10%. The reasons for the decline are obvious. First, Big Basic decks can deal with Darkrai well because the Basic decks tend to revolve around Landorus EX and use Max Potion wisely. Landorus EX and Hypnotoxic Laser are very good at putting damage onto Darkrai EX in an extremely quick manner. Second, Klinklang saw an uptick in play and Darkrai can often struggle with Klinklang. Unless you are playing Darkrai/Ninetales, or a version with ample non-EX attackers, Klinklang can simply overwhelm the Darkrai deck. Once Plasmaklang gets set up, most of the Darkrai EX attackers will deal zero damage. Additionally, Klinklang can play Durant and use Pull out to combat Sableye looping Catcher and Laser with Junk Hunt. All of this information is nice, but only if the information can enlighten the community in a practical manner. I believe this information is useful for the community when going into week three. – The format is stabilizing. There are four main decks that one must prepare for when going into an event: Blastoise, RayEels, Big Basics, and Darkrai. – Garbodor is still important to be aware of, but I would expect to see the Garbodor hate to subside. This means that decks will likely only play one Tool Scrapper instead of two. In my opinion, that makes cards like Eviolite and Exp. Share a bit more viable for week three. – RayEels is still the highest risk, highest reward deck in the format. If you run well, there is not a single deck that you cannot beat. However, you may also not make top cut at all. 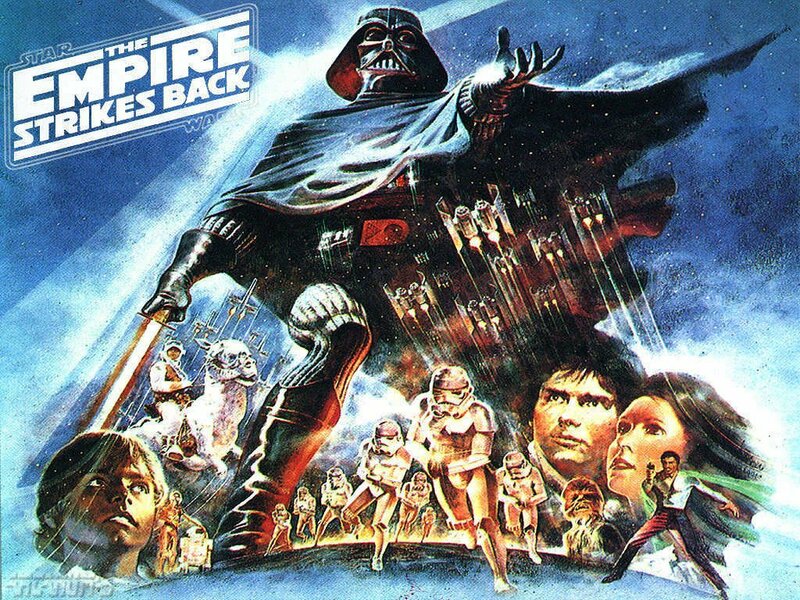 – If those four decks show up in force, I truly believe that Empire is a decent play. Big Basics might donk you, but it is unlikely that RayEels, Darkrai, nor Blastoise will donk you. If you survive the donk from Big Basics, that match up is pretty favorable because you have a solid type advantage with Empoleon over Landorus. Also, nothing in Big Basics easily OHKO your Stage 2 Pokémon nor your EXs. That allows Max Potion to be a large factor in the game. Additionally, the deck has solid matchups against Darkrai and Eels because of Landorus and Dusknoir. I definitely encourage you to try the deck out if you want something fun to play with. The meta is certainly shaking out and I believe there are a multitude of decks that are viable for play. I encourage you to go out and have fun this weekend, and if you enjoyed the article remember to hit the like button.